Workers of a garments factory in the biggest export zone in the Philippines are calling on apparel brands to uphold their code of conduct as they face harassment and interference in the exercise of the freedom of association. Among the major customers of the factory is Tesco of UK. A union has been formed by workers of Sein Together International Philippines Inc., a subsidiary of the Korean garments firm Sein Together (http://www.seintogether.com/eng/main/main.php). However, they now face the challenge of management interference in their right to organize. Union leaders have all been transferred to one production line about a month ago to separate them from the rest of the workers. The company also called for a meeting of its workers where an employee was allowed to speak against forming a union. The factory has been shutdown for more than a week now and will reopen later this month except for the line where the union leaders are located. Management has not announced when that line will be back in production. The union demands a stop to the harassment, the transfer of union officers to their former production lines, the reopening of the factory as soon as possible and the immediate reemployment of unionists once it operates again. The union has filed a complaint about unfair labor practice (a labor law term meaning violations of freedom of association) at the Labor Department and a hearing was held yesterday. In the mediation meeting yesterday, the company denied the charge of unfair labor practice but was called to task by the government mediator for convening an anti-union meeting. The company said that the temporary shutdown was due to lack of orders. Management requested and the union agreed that negotiations be held on April 21 at the plant-level (without government mediation) to address the issue of reopening. The factory will partially reopen on April 20 according to management. Tesco is a member of the Ethical Trading Initiative which commits to uphold freedom of association in its supply chain. 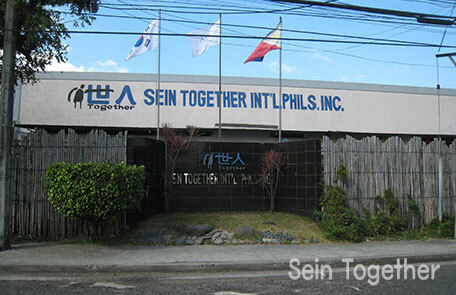 Aside from Tesco, Sein Together Phils. also supplies to Home Plus of Korea (which was formerly owned by Tesco) and Korean apparel brands Jisoo, Hue to Go, Daiz and Jaju.